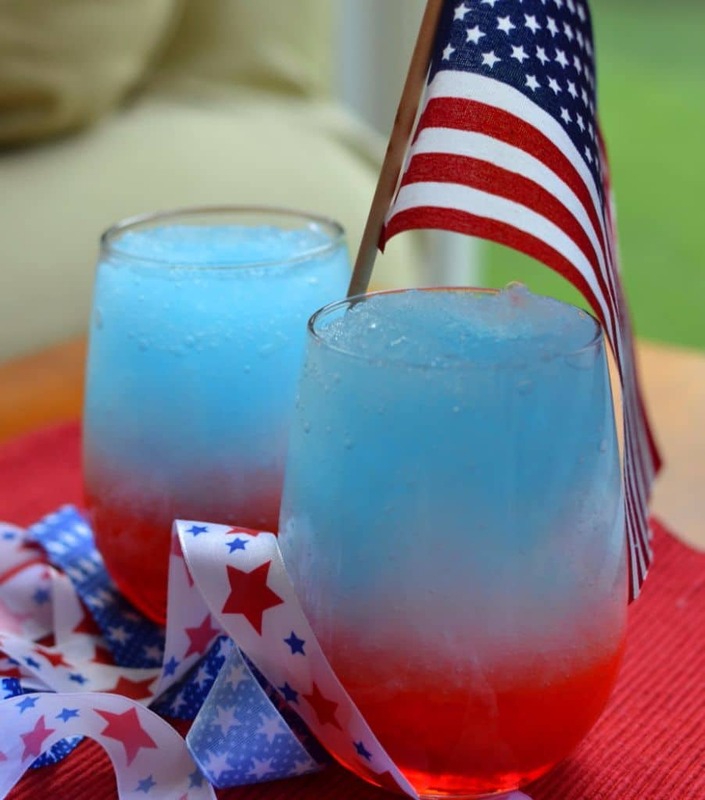 These Red White & Blue Slushies are perfect for all the patriotic holidays. 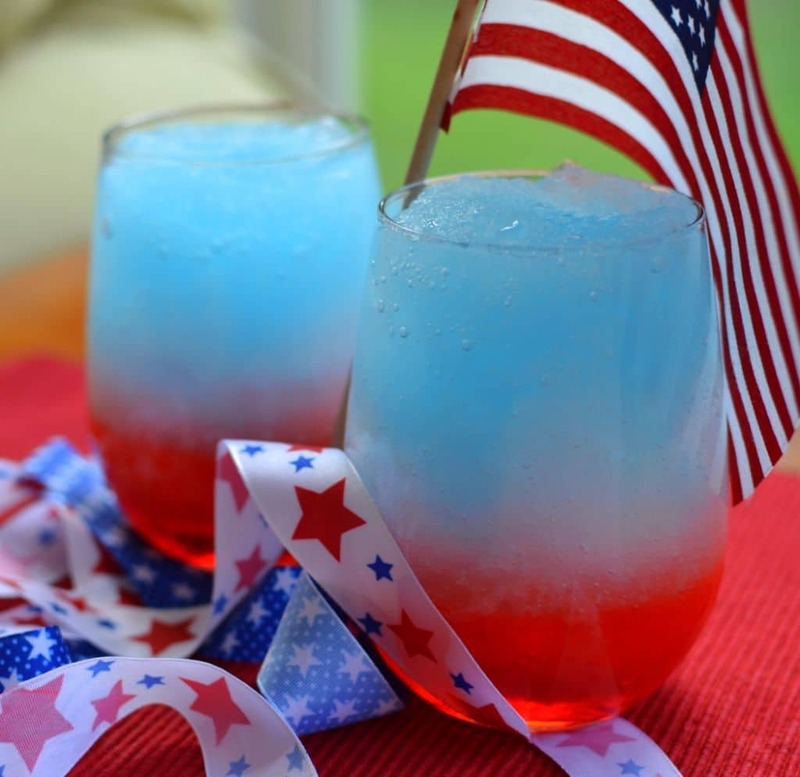 The kids love them and they are a great way to cool them down on these hot summer days. They take just a couple of minutes and only include 4 ingredients. They are alcohol free but by all means it can be changed to an adult cocktail with a jigger of vodka added. 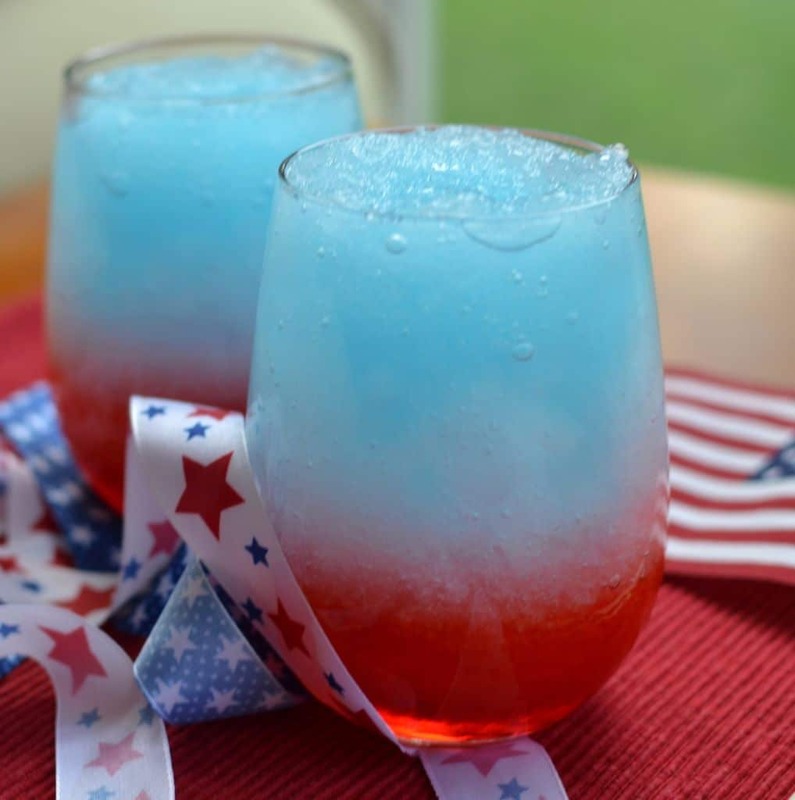 You are going to love the ease and fun of these Red White & Blue Slushies. They are perfect for your patio party or your next shindig! If you decide you are going to make these for a large group you will probably need an extra bag of ice. Hope you enjoy and don’t forget to remember what a great job our military does to keep us safe!! In blender crush 4 cups of ice. Add 1/2 cup of grenadine syrup. Split between 2-3 glasses. Rinse blender with cold water. In blender crush 4 cups of ice. Add 1/2 cup of Gatorade Frost Glacier Cherry. Split between glasses. Rinse blender with cold water. In blender crush 4 cups of ice. Add 1/2 cup of Gatorade Fierce Blue Cherry. Split between glasses. Adjust amount of ice and syrup/Gatorade to your taste and your size glasses.